The first Friday of December really crept up on me! I was planning on designing something more festive and Christmasy, but instead you get a vaguely Christmasy, more nerdy pattern. I watch through a lot of shows on Netflix and Hulu+ while I’m cross stitching and I recently rewatched all of Buffy the Vampire Slayer and Angel. 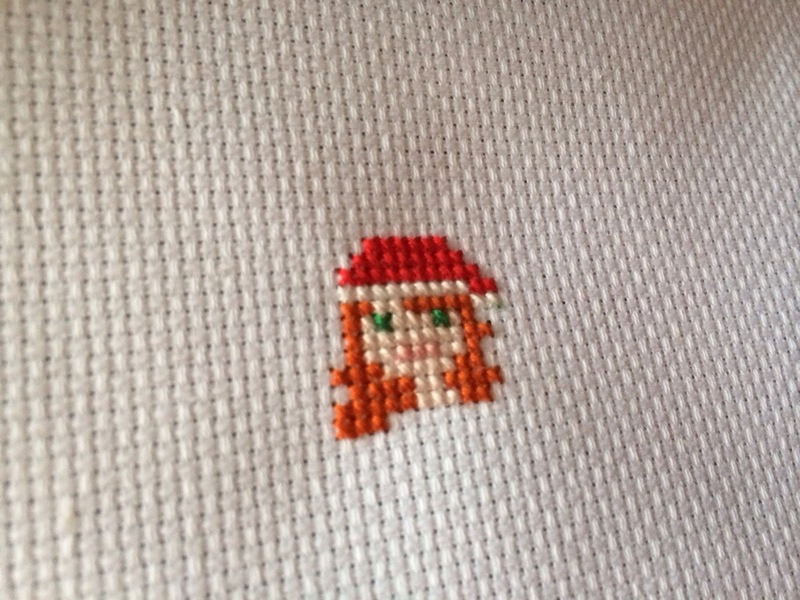 I really wanted to make a Buffy cross stitch and I made a huge list of possible ideas. I started stitching this one up but got distracted by all the Christmas presents I’m working on. The finished piece will fit in a 5×7″ frame and should stitch up fairly quickly. I have another Christmas cross stitch pattern available if you fancy stitching up a Santa raccoon. There are more free patterns to download here, and patterns to purchase here at my Etsy. I was never into those shows (don’t hurl anything at me!) but I do love and appreciate that quote! 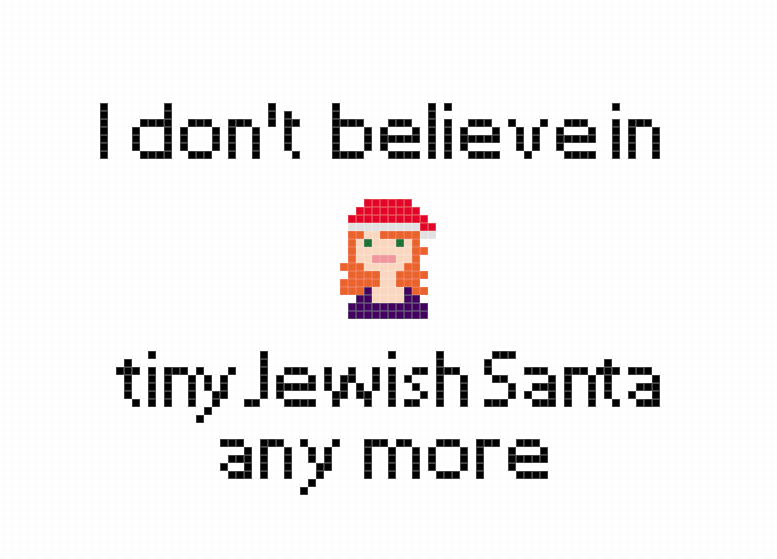 I don’t believe in Tiny Jewish Santa Anymore. nice!